Former British Prime Minister Tony Blair questions the role of religion in politics, specifically Islam, and laments the lack of western support for military intervention against Islamic extremism. The speech is less than convincing because of at least three contradictions that make foreign policy in the Middle East so challenging. First, he asserts the Middle East "remains of central importance" and "cannot be relegated to the second order." The first reason is global dependence on energy and a fourth is, "It is in the Middle East that the future of Islam will be decided. By this I mean the future of its relationship with politics." Saudi Arabia has the second largest reserves of oil in the world, the largest in the Middle East, and the country is governed by monarchy, enshrining inequality, funding extremist schools and exporting extremist theology to other Muslin nations: "For the last 40/50 years, there has been a steady stream of funding, proselytising, organising and promulgating coming out of the Middle East, pushing views of religion that are narrow minded and dangerous. Unfortunately we seem blind to the enormous global impact such teaching has had and is having." Even so, the United States and Britain continue to export arms to Saudi Arabia, despite grave human rights concerns and little assurance that those weapons won't land in the hands of extremists and be used against any sent to intervene. Education and trade cannot flourish without adequate security, true enough, but can leaders like Blair assure taxpayers in the west that such weapons won't be turned against political opponents, citizens or peacekeepers? The US provides more military than economic aid to Afghanistan, Israel, Iraq and Egypt. Second, in regard to the stream of funding and proselytizing coming out of the Middle East, made possible with oil profits, Blair mentions a time period - "40/50 years." The influence from such extremist education was not overnight. Changing hearts and attitudes does not come fast. Fortunately or unfortunately, education and trade and cultural exchanges as simple as conversations can have more lasting positive influence on societies than unnecessary military intervention. The nonmilitary interventions do take time - along the line of about 40 or 50 years. Third, Blair urges modernization and democracy early in the speech: "Democracy cannot function except as a way of thinking as well as voting. You put your view; you may lose; you try to win next time; or you win but you accept that you may lose next time." And yet he criticizes the ideology emanating from the Muslim Brotherhood, which originated in Egypt, formed a political party shortly after the Arab spring protests that ousted Hosni Mubarak - a dictator long supported and funded by the west - and won the the nation's first democratic election. Yes, bad governance followed, but much came at the behest of a democratic election. Blair points to "a Titanic struggle going on within the region between those who want the region to embrace the modern world – politically, socially and economically – and those who instead want to create a politics of religious difference and exclusivity.... This is what makes intervention so fraught but non-intervention equally so." Democracy and modernization do not go hand in hand, and votes throughout the Middle East would show that many indeed would oppose Mr. Blair's definitions of modernization. Mr. Blair is right on several points: Many people in Muslim countries, including the devout, oppose the desperate, bullying extremism. Chaos in one place spreads instability and extremism throughout the region. Also, as he says, "We have to stop treating each country on the basis of whatever seems to make for the easiest life for us at any one time." He maintains that "the world of politics is uncomfortable talking abut religion" and that some say the problem is more political than religious. He adds that the terminology is inadequate, which an lead to misinterpretation, "so that you can appear to elide those who support the Islamist ideology with all Muslims." He claims to be fascinated by analysts' efforts to view the issues in the Middle East as "disparate rather than united by common elements," not really about Islam, not really about religion. In one part of the speech, Blair suggests the problem is not Islam, but religion that fails to tolerate other beliefs with no social harm: "There is a wish to eliminate the obvious common factor in a way that is almost wilful." 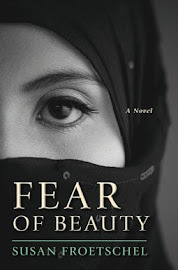 He notes that a strict Islamist agenda may not advocate for violence, but the "overall ideology is one which inevitably creates the soil in which such extremism can take root" and a few sentences later, he concludes that the days for such extreme interpretations of Christianity have been eradicated from politics. Blair suggests that many "look at the issue of intervention or not and seem baffled." Yet those who take the time to examine more than just recent history, combined with the role of their own countries in the region and the fast, frightening pace of globalization, are less baffled. More baffling is whether it's possible to engage in political conversation about religion and resolve anything of substance among citizens of different faiths. 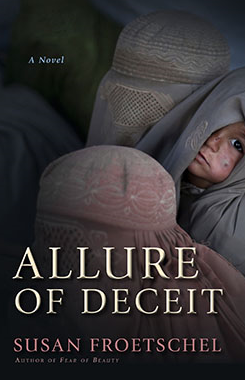 Should multiple and competing religions intervene in politics and how so? Blair concludes: "Engagement does not always mean military involvement. Commitment does not mean going it alone. But it does mean stirring ourselves. It does mean seeing the struggle for what it is. It does mean taking a side and sticking with it." It's uncertain if the the citizens of the west could agree on a "side" and Blair's speech is not clear on exactly what that side should be, although he does offer recommendations on conflict in Egypt, Syria, Tunisia, Libya, Yemen, Iran, and the Middle East peace process - much of which is more of the same methods of intervention. Blair probably would not agree, but consistent foreign policies coming from the west, cutting off aid, trade, support when recipients violate agreements or human rights, could be helpful. Otherwise, we return full circle to what he earlier claims to oppose: "treating each country on the basis of whatever seems to make for the easiest life for us at any one time." 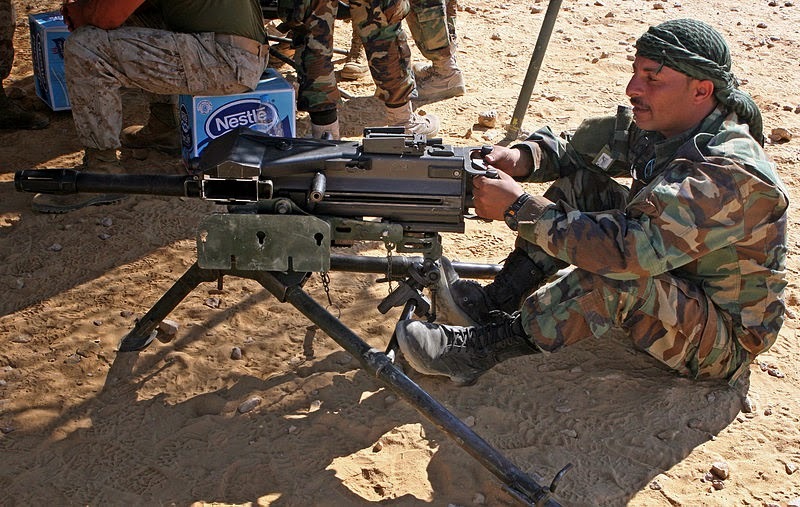 Photo of Jordanian with MI-19 40 mm grenade launcher during Exercise Bright Star 2009, a bilateral weapons exchange in Egypt, courtesy of US Marine Corps and Wikimedia Commons. 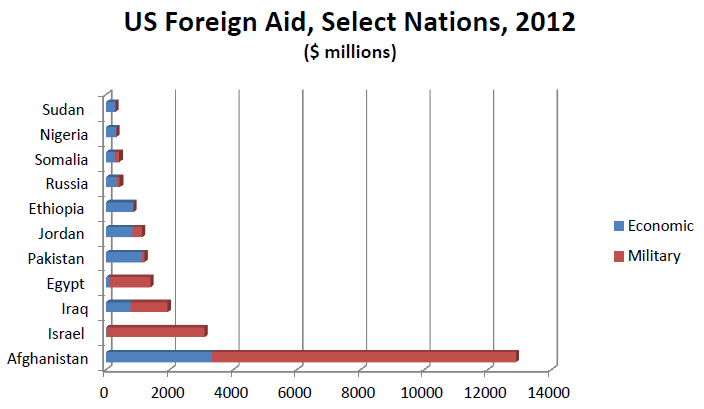 Data on foreign aid from USAID.